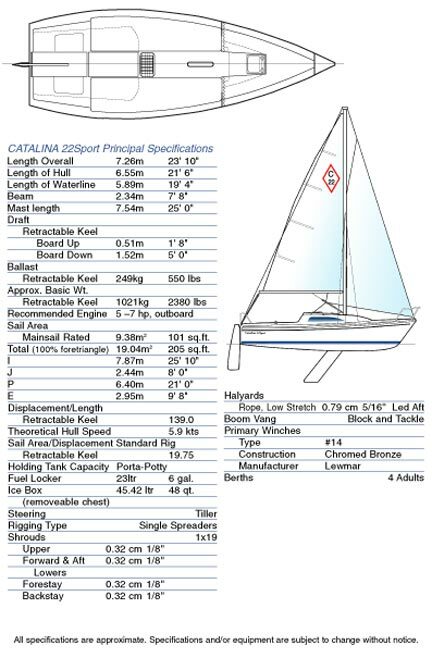 In response to Catalina 22 owners’ requests for a production boat that more accurately reflects the original dimensions and weight of this popular one design boat, Catalina Yachts is now building the Catalina 22 Sport. Catalina Yachts aims to encourage more family racing with the thousands of first generation 22s by offering an alternative to finding an older boat, and restoring it just to be competitive in the dozens of established Catalina 22 fleets. 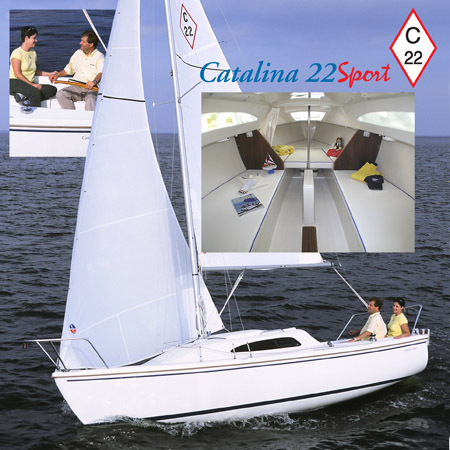 Like the first Catalina 22, the 22Sport is easy to trailer, and a great boat to step up from dinghy sailing to a pocket cruiser/race, offering the quality and value Catalina owners have come to expect since 1970.